Langtang Valley Trekking | Langtang Trek | EncountersNepal. Max. Altitude: Max : 3700 mt. 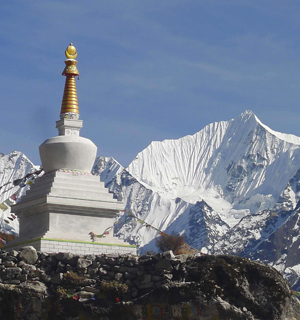 Langtang Valley Trekking :Widely identified as "the valley of glaciers trek", the valley of Langtang is situated 19 miles north to the Kathmandu which lets you view the massive snow capped Himalayas and eye-catching glaciers. 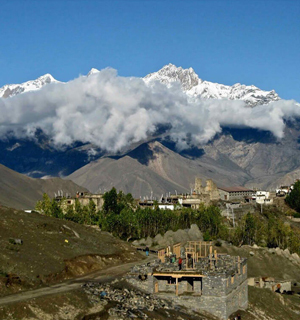 The entire Langtang Valley is dominatedby Mt Langtang Lirung lying at an altitude of 7246m. We, Encounter Nepal design Langtang Valley trekking which puts forward the view of the stunning Helambu Valley, the towering mountain lakes at Gosainkunda, the fascinating Langtang National park and the wonderful ice flutes of Gyangchempo which will be a memorable experience. Along with the view of pine forest, swift mountain streams, uneven rock and snow- topped peaks, grassy downs and meadows spread with daisies and wild primula, Langtang Valley trekking will give an occasion to past the region of Langtang National Park established in 1976 to look after the distinctive flora and fauna found there. One of the exceptional animal red pandas, Himalayan black bear, wild dog, snow leopard, ghoral and above 250 species of birds has been protected in this area. Sal, Nepalese alder, different types of rhododendron, chirpine, silver fir, oak forest, hemlock, birch, larch and many more floras will be visible during the trekking. Furthermore, the trek also offers adventurous experience together with cultural experience all the way through arresting panorama of flat meadows, alpine terrain and rhododendron forests. The Langtang Valley trekking starts from Dhunche or Syabrubesi and moves all along Goljung, Chilime, Gatling, Timure, Thurman and Briddim. And then, the trail might finish in Syabrubesi or tag on from Briddim village by way of Khamjim. After, we reach at Langtang village; we will go to Kyangjin Gompa (3740 m). We go by rhododendron and oak woods and pass through glacial moraine to reach the Tamang settlement of Langtang area. On our way back, we walk through Dhunche . Drive about 6 hrs. by a private vehicle on a paved highway that twists & climbs over ridges to the Trishuli valley. The road finally reaches Syabrubesi, after 4 hrs drive from Betrawoti. Stay overnight at Syabrubesi. Trek forward through rhododendron & pine forested area for about 3 hrs. & reach Ghora Tabela for lunch 3hrs trek forward the trail reaches at Langtang village. Tamangs & Tibetans, whose religion is Buddhism, inhabit in this village. 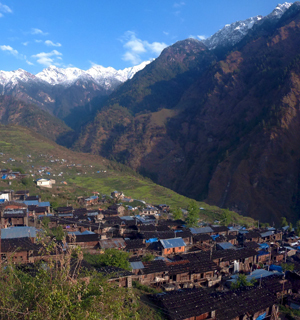 Stay overnight at Langtang valley (walking distance 5 hrs.). Full day excursion at Kyanjing Gompa. Trek back through same route (walking distance 5 hours). Trek back through same route. Trek for 2 hrs through pine & rhododendron forest & walk for another three hours to reach to Dhunche (walking distance 5 hrs. ).